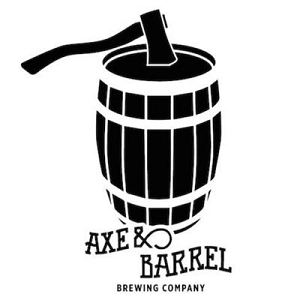 Axe & Barrel is easily the best traditional brewpub in Greater Victoria. It maybe be the best traditional brewpub in B.C. That is a bold statement given their inauspiciousness as compared to the notoriety of Steamworks and Central City, but a trip to Langford bears it out. The brewery, in operation for only two years, looks like a log cabin the middle of big box suburban stores. Divided into two segregated sections, they have a tasting room on West-side of the building and a large brewpub on the East, with a similar diverse selection of beers on both sides, giving patrons flexibility if they want a food-first or beer-first experience – something that many other brewpubs really struggle with. Their standard line-up of beer is very solid with a tasty Rye Pale Ale named after the nearby Speedway, a finely toasted stout and a puckering sour. The seasonal menu goes beyond the standard 3-4 beers at most brewpubs to a strong 6-10, including a curated expansion of their strong sour beer and a phenomenal pumpkin beer. Nothing is groundbreaking, but it’s a nice blend of styles with great food, with brewers (first David Woodward of Tofino Brewing fame, now Andrew Tessier of Swans renown) that aren’t content to stay within the basic brewpub crayon box. Given their suburban location, it would be easy for them to coast, but they are trying hard to make a real mark. Unfortunately, the place was not very busy when we were there and the locals we know in the area were unaware of it, so they have some work to do regarding their marketing. They also don’t have a bottling system in place for distribution yet. And the fact they’ve been on sale for months is, um, concerning. Make the trek out to Langford for their beers while you have the chance — though if quality counts for anything, they’ll be in business for quite some time.